As you will have seen if you have browsed through our reviews; we have tested and reviewed quite a few Thinkware dash cams, so it made sense to add the Thinkware F800 to our list. We have had fairly mixed results when testing Thinkware devices, so we weren’t really sure what to expect with this one. There are a few issues that we encountered, but also a lot of positives too. Please read on for our verdict. Recording quality is reasonable for a device within this price range. The 140 degree wide angle lens offers a good field of view. There is a nice, easy to use app that goes with the device. There is a handy driver warning system for preventing collisions. Super Night Vision is very good. In order to retrieve GPS data the camera needs to be connected to a PC. The design doesn’t feel as robust as we had expected. Motion detection could do with being a little more sensitive. To start off with, we’d like to talk about the design of this particular dash cam. Unfortunately, we have to say that we were a little disappointed. First of all, we didn’t really like the shape of the camera very much. We felt that it was a little obtrusive and not very discreet. The other issue that we had is that the materials don’t feel very robust at all. Unfortunately, the camera materials felt a little cheap and like it hasn’t really been designed to last. The weight of the device makes it feel a little more high quality, but overall we were unfortunately quite disappointed with the design. To start with, we were relieved to find out that the initial setup and installation of the dash cam was actually really straightforward. We didn’t have any issues at all and we were all set up and ready to go within an hour. All of the features worked as they should and we had no issues with recording what we wanted to record. However, during playback we did notice a few things that we weren’t entirely satisfied with. Usually, with a dash cam that is GPS enabled, you are able to pinpoint exactly where you are on a map. We were really disappointed to find that in order to retrieve GPS data, the device has to be plugged into a PC. Whilst this isn’t a huge issue, it is a little annoying. Another thing that we had issues with was the motion detection feature when in parking mode. We found that the motion detector wasn’t as sensitive as we’d have hoped. However, the rest of the features worked perfectly well, so we were pleased with that. Fortunately, this is where the Thinkware F800 dash cam really excelled. We were more than poleased with the quality of the recording during the daytime. We found that the 1080P resolution was of a really high quality and we had absolutely no trouble reading number plates and seeing everything around us very clearly. The field of view is fairly generous at 140 degrees, so we were able to see everything that we needed to see around the car. One thing that we were really impressed with is the super night vision feature. We found that we were able to see everything with complete clarity. This is definitely one of the most impressive features that this dash cam has to offer. 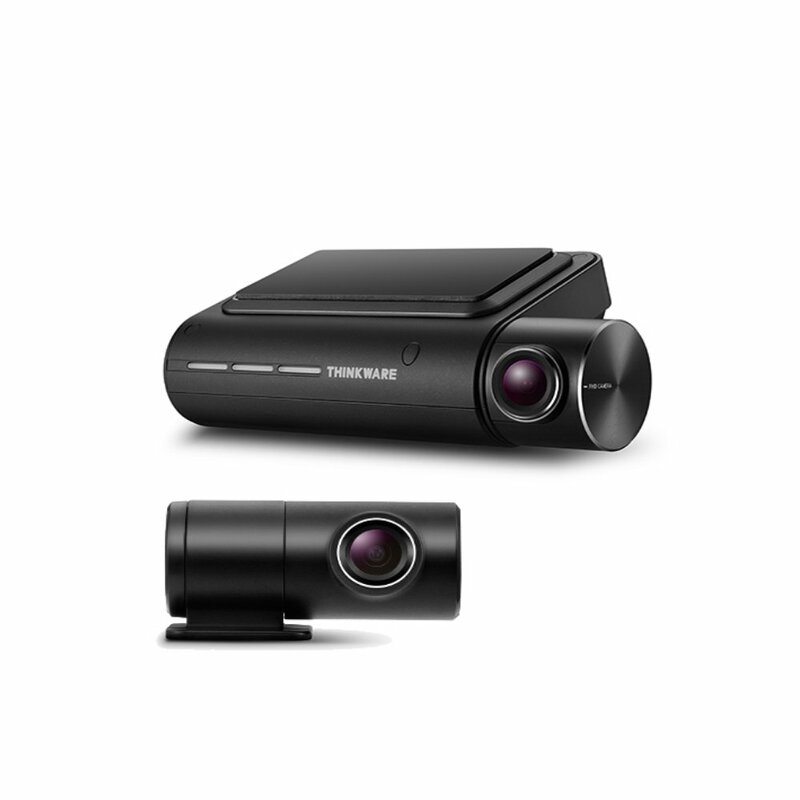 There were a couple of extra features that made up for the issues that we had with the Thinkware F800 dash cam. First of all, we liked that there are multiple different recording modes available. This meant that we were able to adjust the settings depending on what we were trying to capture at the time which was great. The dash cam is compatible with the Thinkware cloud app, which we found really useful. It makes playback and adjusting settings much easier. As well as this, there is a handy driver safety system which provides alerts if you are driving too fast or too close to the car in front. We were really pleased with this. Overall, we weren’t all that impressed with the Thinkware F800. However, if you are looking for a fairly affordable dash cam that offers the basic features that you need to improve your safety as a driver then this is definitely one that should be considered because it is nice and basic.